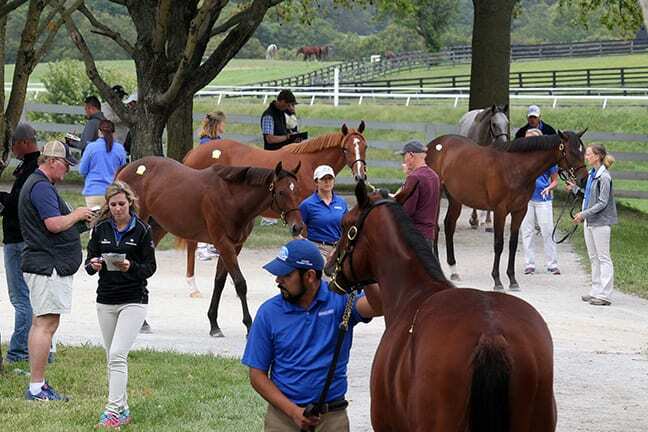 The catalog for the 2018 Keeneland September Yearling Sale is now available online, featuring 4,538 entries. The 13-day auction will take place Sept. 10-23, led off by a quartet of select Book 1 sessions beginning each day at 11 a.m. Eastern. After the auction's traditional “dark day” on Friday, Sept. 14, the sale will pick back up with Book 2 over the weekend, and continue daily through the closing Book 6. All sessions from Book 2 and beyond will begin at 10 a.m.
Print copies of the catalog will be mailed Thursday, Aug. 16. This entry was posted in Bloodstock, NL List and tagged catalog, Keeneland, keeneland september yearling sale by Paulick Report Staff. Bookmark the permalink.